By 1976 a new addition to the company was Claremont Jewellers and thereafter two additional branches opened its doors in Mitchells Plain and Paarl which are still currently running. There were so many enquiries for trophies that the market forced Tiffany’s Jewellers to start purchasing trophies locally. With Tiffanys Jewellers excellent service the customer base grew and consumer demands became unique. This resulted in Shabeer’s son Zaheer to diversify and start a new company aptly named “Tiffany’s Trophies” which has overtime grown to be one of the largest suppliers of Trophies in the Western Cape. Pre democracy it remained difficult to source a variety of trophy designs, this was due to sanctions and restrictive business practices so Tiffany’s Trophies started importing to satisfy customer demand. 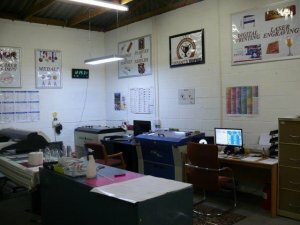 With customer expectations and demand growing so rapidly we have had to acquire state of the art laser etching and engraving equipment accompanied by vinyl printing and cutting machines. 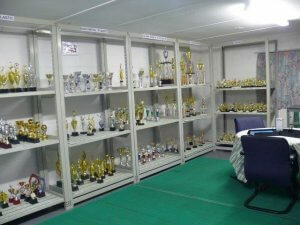 With this technology awards are personalized and tailor-made to the customer specifications. Zaheer’s son and partner Mohammed has launched the internet brand “TrophySA” which will serve the entire country. Mohammed currently manages the daily operations of the warehouse and showroom situated in the scenic Stellenbosch Winelands. Our formula for success is providing high quality products at competitive prices with exceptional customer service. Family is the link to our past and a bridge to our future.